Nicola has been playing Acoustic and Electric Guitar for 25 Years. Her teaching style is very relaxed and student centred. Nicola combines the basics of theory and playing styles in a context that suits the taste of each student. She provides regular reviews of progress and direction for players. Nicola is a published Singer/Songwriter with album and EP releases under her belt. Her most recent 'Down Side Up' was released earlier this year with an accompanying video for her single 'Kiss Goodbye' (Click here to watch). As a result, she is involved with SOSLAM, providing guidance as a facilitator on songwriting for both Adults and Children. She is also able to incorporate songwriting, performance elements and technical guidance for solo performers wishing to play to audiences in her private coaching sessions. Nicola also performs professionally 2-3 times a week. 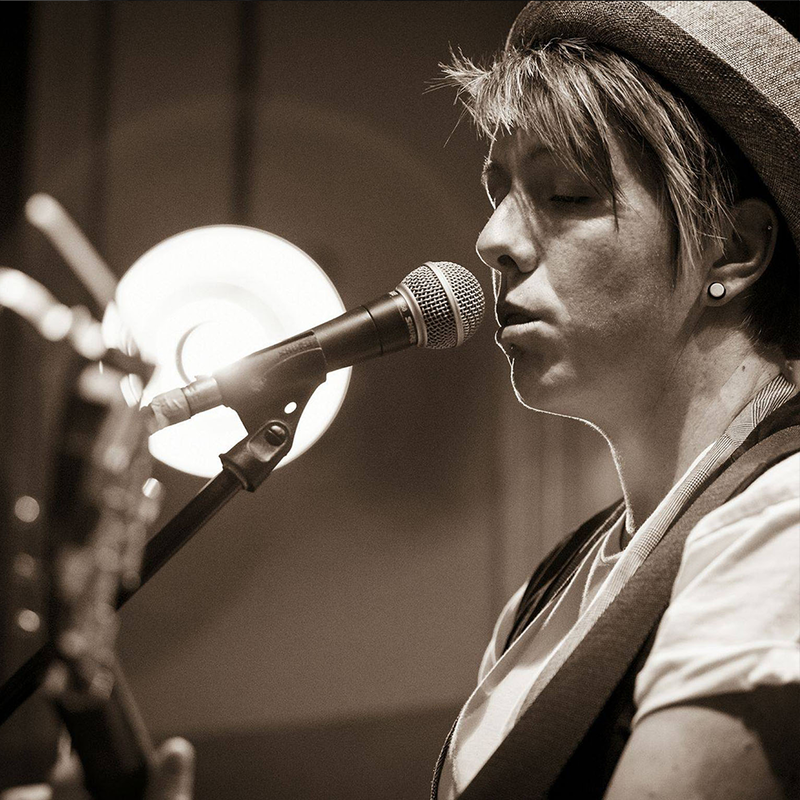 As well as hosting various open mic nights in and around Southend, she performs as a solo act, duo (between2minds), in a covers band (interchange) and two original bands, including her own and as acoustic guitarist and backing vocals in 'Darren Jones and the World Music Band'. Nicola runs weekly guitar classes for children and adults and is a regular coach with the Saturday Songwriting School. Click the buttons below for more info. She is also available for 1:1 coaching in both Guitar and Songwriting, based from her private studio in Benfleet. To find out more please enter your details below. Thank you! We might be teaching right now, but we’ll get back to you as soon as possible.